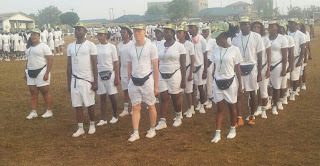 Why Do I Need NYSC Redeployment Letter? First thing to note here is that, not all corps members needed to write NYSC redeployment letter and submit to NYSC. During my time, I did not write, because I have no reason to write. The only set of corps member who it becomes compulsory for them to write a redeployment letter are corpers who are not satisfied with their States of deployment, and wanted relocation to another States due to reasons best known to them. Are you interested in leaving the State of your redeployment? If yes..It becomes compulsory for you to write a letter of redeployment to seek NYSC approval right from camp. Let me believe you already have your medical or marriage certificate with you for relocation in the camp. Now you go and obtain NYSC redeployment form and fill it. Then, you write a letter to join the other two before you submit it. What are the things that are contained in the NYSC relocation letter? You need to know this. NYSC redeployment letter is not like the love letter you write to that beautiful/handsome girl/guy. It is a formal letter and it has its own procedures. By Your left is the address of NYSC D.G in Abuja, then you write "through"
Your NYSC State Coordinator, Then "through"
Your State Camp director. Then full stop. Your name and signature. If Possible, your NYSC State code. I Zakari Bola Oluchi with NYSC State code xxxxxxxx, hereby write to request for redeployment back to Borno State. This is to enable me have frequent access to medical care and treatment from my doctors in Maiduguri while continue to serve my father land in the State. Attached with this letter, are my NYSC redeployment form and medical certificate to enable you consider my application. I will really appreciate if my application is favorably considered. Thanks. Note: If you are a married woman, just signify that you are married and attached your marriage certificate instead of medical cert. This is another question I will like to answer using this medium. Most times, you come across this all the time and you don't know how to go about it. It do left people with no option than to keep asking questions such as, which is my NYSC certificate number? the number on the certificate? Which one do you write and are you sure among the two? Are your prospective employers or school referring to the NYSC number which starts with NYSC/FCT/FRN/2xx or the actual NYSC certificate number that is printed on the actual certificate, that starts with A00191719? In case you have anyone who want to write post UTME, you can tell them to download post utme past questions and answers. OK to whom it may concern thanks for sharing. Thanks a bunch. God bless.